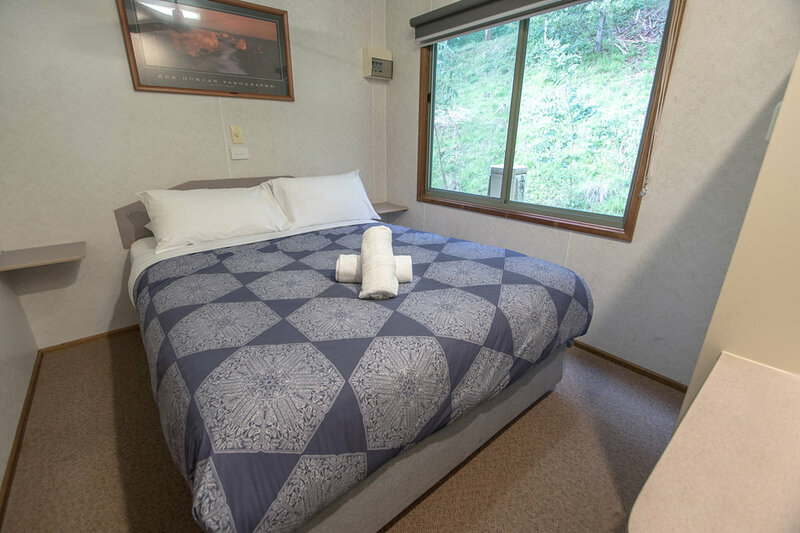 Perfect for that romantic weekend away, our fully self-contained one bedroom units are located well within the park, offering that much sort after peace and quiet. The units contain full kitchen, lounge and dining area, Large LCD TV and DVD, and Queen bed with ensuite. All linen, pillows, and towels supplied. We only have two of these beautiful one bedroom units so be sure to book one quick or miss out! *Pictures are a guide only – if you have special needs or requirements please let us know at the time of booking.